These gorgeous muffins not only taste delicious, but are low in calories and fat! 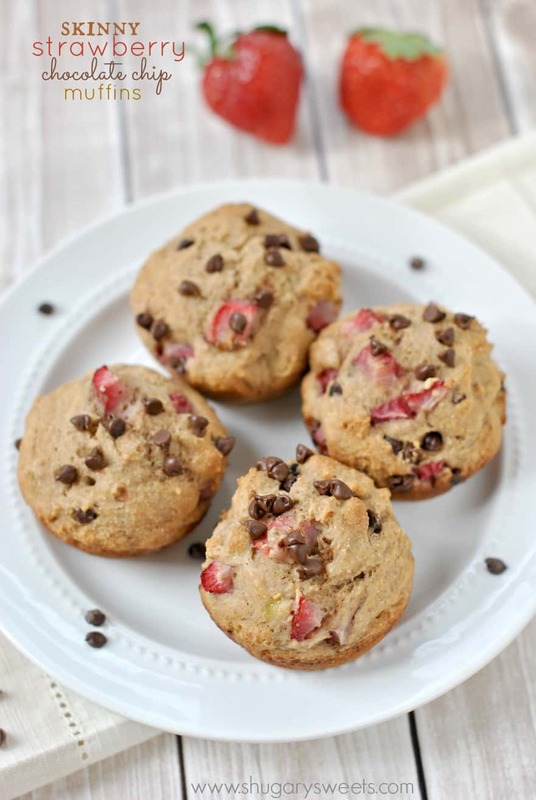 So, who wants a couple Skinny Strawberry Chocolate Chip muffins for breakfast? Earlier this year I made a commitment to myself that I would try to share healthy options on this blog. 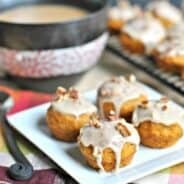 I started the year out by sharing these Skinny Pumpkin Energy Bites and these Skinny Banana Chocolate Chip Muffins. You all seemed to love them! So it was only a natural progression that I tried another flavor of muffins. 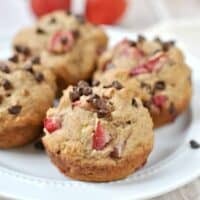 Strawberry Chocolate Chip. 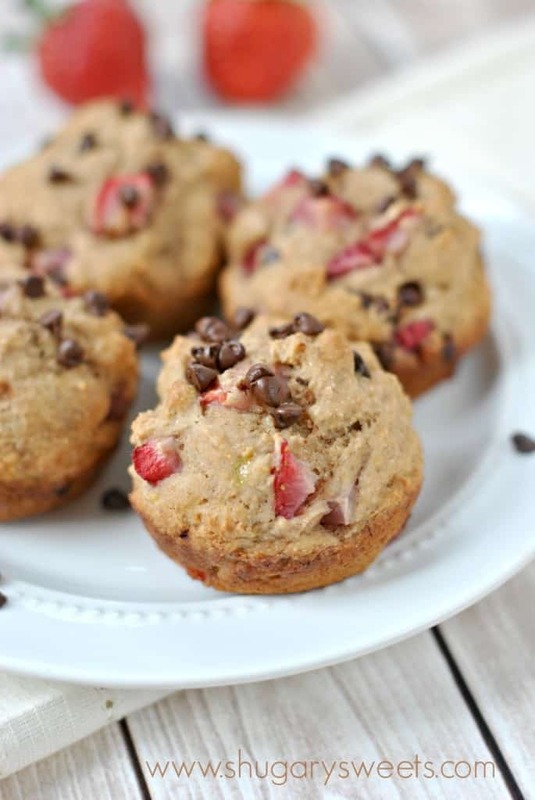 Using the same muffin base, but adding some fresh chopped strawberries, I think you guys are going to love these!! I lowered the amount of whole wheat flour than the original version, my kids don’t like their muffins too “chewy.” The first batch had 1 cup all-purpose and 1 cup whole wheat, and they were delicious, but after a day my kids didn’t like the texture. 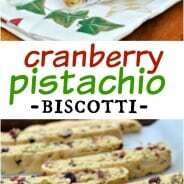 So I tried making them with more all purpose than whole wheat and they were kid approved! You decide what will work in your family. While my kids LOVE healthy food, when it comes to their baked goods I have taught them to love them SWEET. Extra SWEET. This is a work in progress! 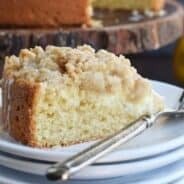 I have replaced the extra sugar from this recipe by using honey and light agave nectar. The extra chocolate chips on top add just enough sweetness to make you think you are indulging…but your skinny jeans will still fit! Unless of course you don’t wear skinny jeans. Yoga pants? Pajama pants? Whatever. So, with a handful of healthy recipes on the blog, I’m ready to indulge in a muffin with my morning coffee and not feel guilty! Now if only I can give up the sweet cream I use in my coffee…send help!!! In a large mixing bowl, combine honey, agave nectar, egg, vanilla and bananas until fully combined (and bananas are mushed). Add flours, baking powder, baking soda, salt and yogurt. Beat until blended. Fold in diced strawberries. Spray muffin tin with non stick spray. Spoon batter into 18 muffin cups evenly. Sprinkle tops with mini chocolate chips. Bake in a 350 degree oven for 18-20 minutes. Remove and cool completely. 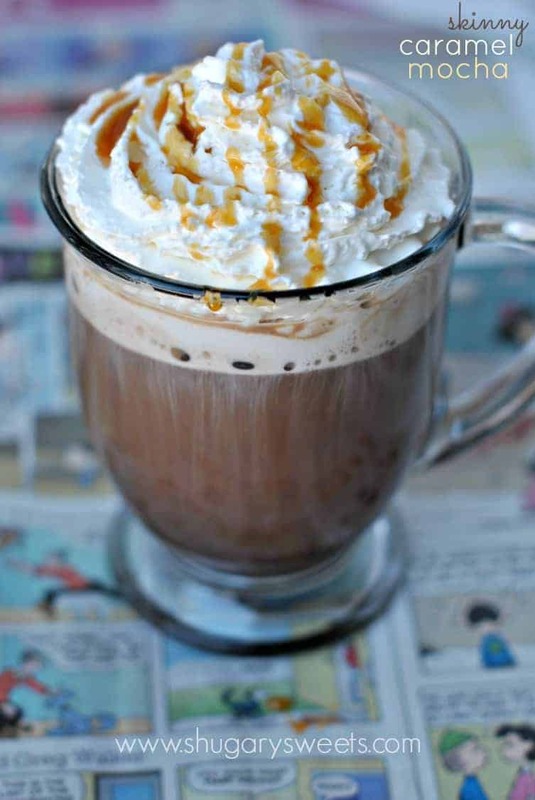 This Skinny Caramel Mocha would go great with your muffins!! 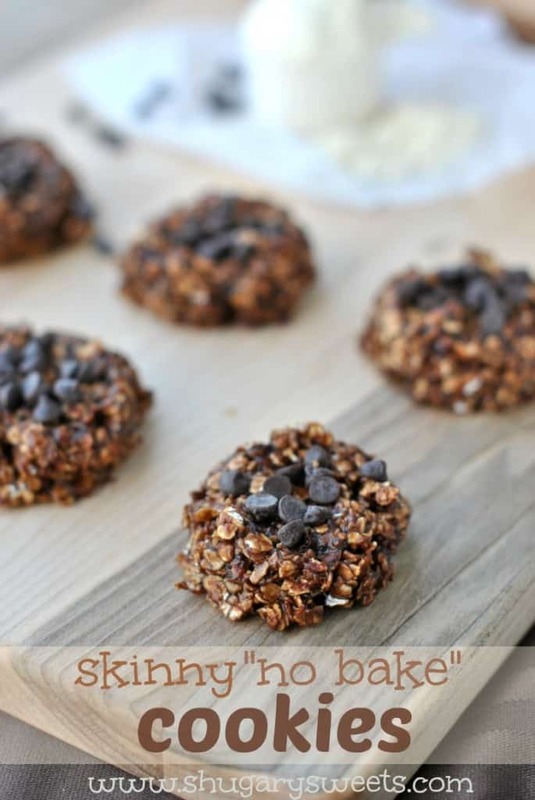 Skinny No Bake Cookies…banana and peanut butter help keep these moist and delicious! 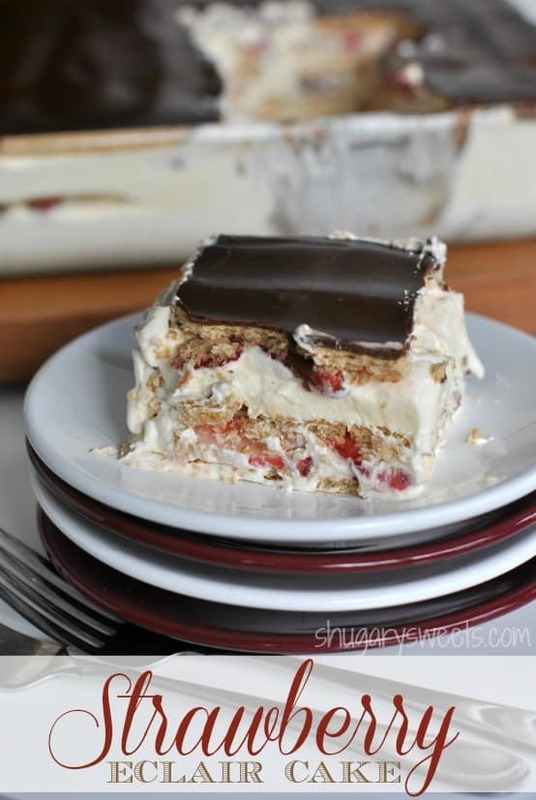 No Bake Strawberry Eclair Cake: classic eclair cake with a delicious strawberry cheesecake twist! I love strawberries in baked goods! 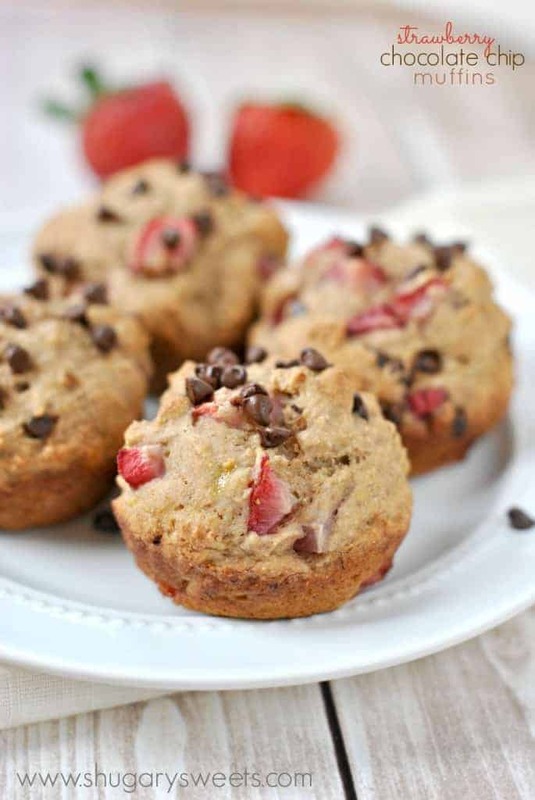 Wish I had some of these muffins for breakfast today!! They add their own sweetness and moisture, that’s for sure!!! thanks so much for the link love!!! you rock xox these muffins look fab! You bet! Now I need to make those yogurt bars!!! These are gorgeous! I love how muffins are so easy to make skinny. We’ve been on a muffin kick, but I haven’t tried the strawberry/choc combo. It looks amazing! Oh you’ve got to try it!!! I made similar muffins a few months ago for a potluck. They were a hit for sure. Definitely need to whip some up again. It’s amazing how you really can get away with less sugar in a recipe….especially by adding a few chocolate chips on top! How many calories are in a serving size? Hmmm, I’m not sure. But you can plug it into your favorite calorie counter online! What a perfect skinny muffin! I don’t usually bake with whole wheat flour but I should certainly try! It definitely changes the texture. My kids prefer less WWflour, obvi….LOL!! I love chocolate and strawberries and I love that you put them in a healthy little muffin! The perfect snack for Valentines Day…or any day! Thanks Taylor!! Who knew Valentine’s Day breakfast could be healthy!! I always find myself starting the day off with a ton of junk and sugar. I think I need to give these a try instead. Love the pretty strawberries!! I hear ya!! Junk and sugar is what I do best!! Everyone needs a go to skinny muffin! 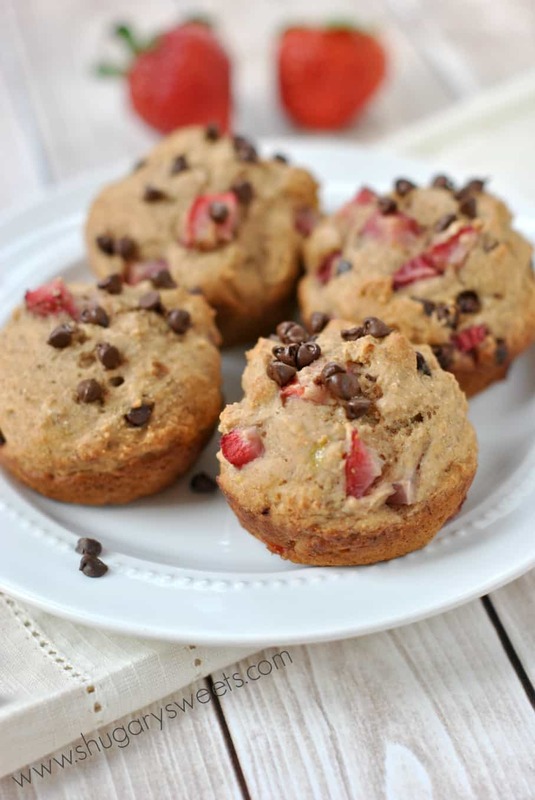 I adore the fresh strawberries in these Aimee! Oh yes yes yes!!! I love these Aimee! These muffins look very appetizing and I wanted to cook the same but I couldn`t find strawberries. What other berry would you recommend to add? I thought about cherries but I am not sure that they will taste good in combination with chocolate. I need to work on my strawberry muffin recipe and skinnify it. I roast the strawberries first and use white chocolate. I know, I know.. definitely not skinny enough. I’m going to make yours and feel righteous. 🙂 They look wonderful. I want one! I want one! Or let’s make it a dozen. 😉 Who can resist the chocolate/strawberry combo?! I can’t wait to try these muffins! I can’t enough of the chocolate and strawberry combination and love that these are “skinny”. These look so good. All I have are frozen strawberries, will those work? I love mixing a few skinny options in with my decadent options. It’s all about balance. These look wonderful. Pinned. Oh wow! These muffins look perfect 🙂 I cannot wait to make them!